BUSINESS: Bosses at Australia’s BlueScope steel have been attacked for pocketing “obscene” bonuses worth A$3.0 million (B93 million), after they laid off 1,000 workers and abandoned their export business. 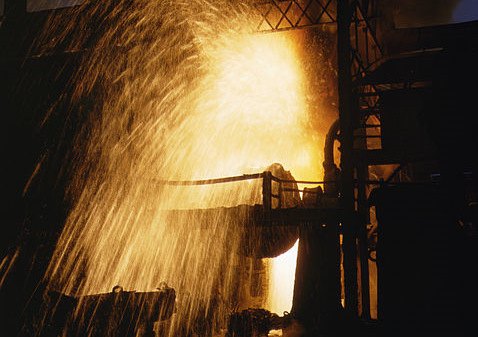 Bluescope closed one of its blast furnaces, resulting in the loss of 800 jobs. Australian independent Senator Nick Xenophon seized upon the figures – contained in the company’s annual report, published on Monday – which revealed that the company lost A$1.05 billion, and condemned BlueScope’s executives as “out of touch”. “This company is laying off 1,000 workers and it has its hand out for taxpayer support to the tune of A$100 million, yet it still has the gall to pay its executives these obscene bonuses,” said Xenophon. Xenophon said it was a “dark day for corporate governance” when company chiefs could take bumper pay for their performance when their “corporate behaviour was pretty bad”. He called on Prime Minister Julia Gillard to cut by A$3 million any assistance sought by BlueScope under her A$100 million industry bailout, and demanded an explanation from the firm for its “outrageous” payouts. BlueScope, Australia’s largest steelmaker by output, said on Monday it would abandon its export business and axe 1,000 jobs, as manufacturing faced the worst crisis in decades due to the high Australian dollar. Gillard offered BlueScope emergency access to a A$100 million contingency fund intended for a planned pollution tax, to be introduced next July, as well as A$30 million in assistance for the regions where it has sacked workers. The Australian Workers Union said the executive bonus payments were a “slap in the face” to the 1,000 people who have lost their jobs. “This is just unbelievable,” national secretary Paul Howes said. “Manufacturing is facing the worst crisis since the Great Depression and BlueScope’s response is to further line the pockets of their paper-pushing executives who already earn a mint.